At a press even Wednesday, Google took the wraps off Android 4.3, the new Nexus 7, and Chromecast. Google’s Wednesday announcement of Android 4.3 may not have carried the same amount of pizzaz as the company’s Android 4.1 presentation in June 2012, but then again you can only fling your executives out of blimps so many times before it starts to get stale. Although the latest release of Google’s mobile OS carries with it new features that are important to developers—like Bluetooth 4.0 Low Energy and OpenGL ES 3.0 support—it wouldn’t be too inaccurate to say that this Android update is drab, dreary, and any other synonym of the word “boring” you want to throw in there. There are a few neat extras for regular folk. A new phone dialer auto-completes your phone numbers, though I don’t think I’ve ever heard of anyone getting excited for an updated dialer. Touch response has also been improved, which should help make the OS feel slightly faster, though the improvement is negligible and most people probably won’t notice it. There’s also a new emoji keyboard, in case you’ve ever wanted your text messages look like they were sent by a teenaged girl. Perhaps the change users will most easily notice is Restricted Profiles. You can set up multiple accounts on an Android 4.3 device, restricting access on a user-by-user basis for apps and content. Parents can set up profiles for their kids, or stores can create a “kiosk mode” profile that locks everything down. The changes brought about in Android 4.3 aren’t half as dramatic as the ones in Apple’s iOS 7, and it overall looks and works like the version of Android we’ve all been using since last year. Google isn’t trying to redefine its mobile OS: It’s trying to iron out the kinks and give developers the resources they need to build better apps. Google demonstrates how Bluetooth 4.0 LE will work with fitness tracking devices. You want these types of boring updates because in the long run it means you’ll get to use even cooler software on your phone. Sick of how slow and laggy Android can be at times? These are the kinds of updates that fix that sort of thing. Want your Fitbit to sync wirelessly with your Android phone? Well, Android 4.3 will let you do that because it added a feature you can’t see without busting out a code editor. Bluetooth Low Energy support means that you’ll start seeing all those fitness trackers and other pieces of wearable tech work across all Android phones (once they’re updated to 4.3) and not just the select few made by the likes of HTC or Samsung. OpenGL ES 3.0 adds new graphics capabilities, like excessive lens flare. Likewise, the OpenGL ES 3.0 support in Android 4.3 will ultimately lead to better-looking games—something I’m sure many Android users and game developers will appreciate. OpenGL is an interface that developers use to draw 3D objects and control visual effects in games, with newer versions of OpenGL letting developers create games with console quality graphics. New DRM will allow more apps to stream 1080p content. “DRM” is a dirty word to a lot of enthusiasts, but without it, you don’t get streaming services like Netflix or Hulu. Android 4.3 includes new DRM APIs for developers of streaming media apps, and Netflix is the first to make use of it. The latest version of the Netflix app, already available on the Play store, will allow 1080p streaming on Android 4.3 devices (of which the new Nexus 7 is the first). We’ve become accustomed to OS updates giving us flashy new features, new type-faces and interface elements, and bundles of live wallpapers. While those types of updates are easier to sell, they don’t really fix any of Android’s problems and they don’t address the complaints of the developers who make the hot apps and accessories that make the phones so useful. Android has grown up and Google’s just now started the process of polishing and smoothing out the edges. For now, developers are going to come first because they are the lifeblood of any mobile platform—just look at Windows Phone 8 and its utter lack of must-have apps if you want to see the alternative. 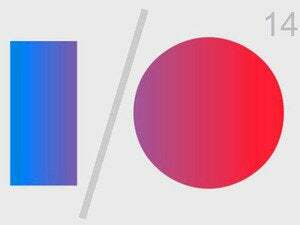 Judging from how Google handled its 3-hour keynote at Google I/O this year, that’s just the way things are going to be from here on out. Apps like the Calendar, Keyboard, and Hangouts will be broken out and updated separately from the core OS, and any updates you care about will likely come directly from the Play Store. The company is done pandering to you and me and is instead putting its focus back on the people who’ll make Android better—the developers. At least, we hope, until Android 5.0. Android 4.3 may not be the most exciting update, but it’s just what Android needs, and it’s shipping on the new Nexus 7. In addition, it will be delivered over-the-air to the Nexus 4, Nexus 10, Galaxy Nexus and first-gen Nexus 7 starting Wednesday, July 24. Updated at 3:49 p.m. PT with a video report on Nexus 7 and Android 4.3. This story, "Android 4.3 is painfully boring (and that's a good thing)" was originally published by TechHive. Armando is an Android nerd, covering both apps and phones, and a former programmer. He is also a world-class heckler on Twitter.